When we hear the word museum, the important facts that come into our mind are regarding the availability of cultural, social as well as historical objects in it. As most people know, museums can be seen in different cities of India. Pune city located in Maharashtra state, India is also famous for museums. This article gives you important information regarding the National War Museum located in Pune, Maharashtra state, India. Among the different museums present in Pune like the Raja Dinkar Kelkar Museum, Mahatma Phule Museum and many more, the National War Museum Pune is having an important place. 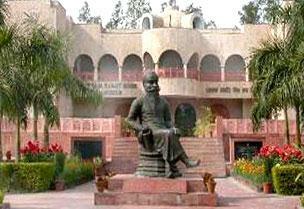 As the name indicates the National War Museum Pune is having national importance. The idea of creating a museum of national interest was proposed for the first time in the year 1996. It should be noted that the inauguration and opening of the National War Museum Pune was done in the year 1998. The location of National War Museum Pune is at Pune Cantonment. This museum is surrounded by green trees and so without doubt we can say that it's attractive to the visitors. From the name itself "National War Museum Pune" we can understand that this was started in fond memory of the Indian soldiers who laid down their lives for our country. It's important to note that the Pune citizens under the express citizen's forum established a fund named the war memorial fund. The fact was that all people donated to this fund according to their abilities. This National War Museum Pune is also known to the public as National War Memorial Pune. The National War Memorial Pune popularly known as the National War Museum Pune is considered to be the only war memorial of South Asia that was constructed by raising funds from public. This museum is made of pillars that measures 25 feet. In simple terms we can say that the memorial is represented by the 25 feet pillar. 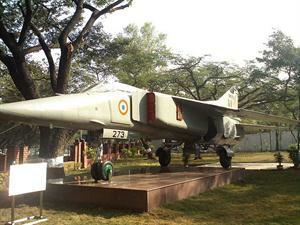 For public display, this museum has MIG 23 BN which was used in the Kargil war. Apart from this, you can also see other army machinery and vehicles. So if you get a chance to visit this museum in Pune, don't miss it. It will be helpful for not only adults but also students. There is no entry fee to see this museum. Check out other tourist interests in and around Pune like Bedse Caves near Pune, Mahatma Phule Museum, Kamshet Hill station and other articles.